with the horse’s back during riding. 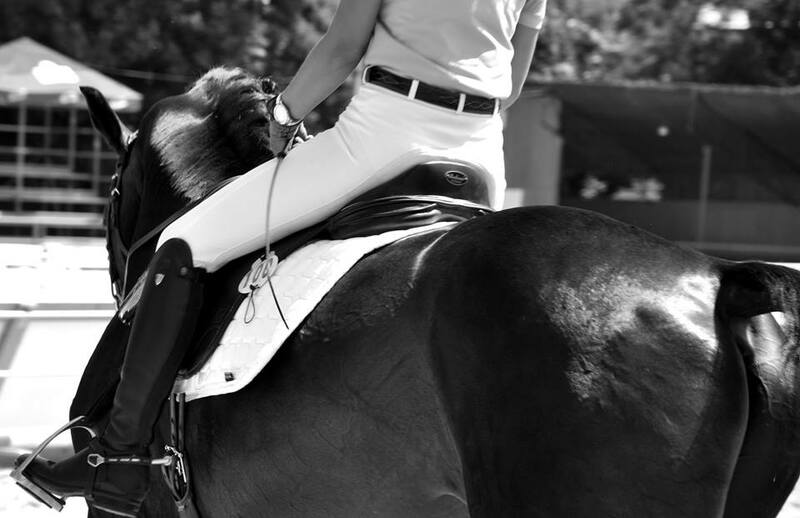 It enables the horse to have a free movement.Horses are then more willing to work and to perform advanced exercises. They will offer a better extension in their moves. Stability – the saddle does not rotate therefore, it is a great solution for horses with round and wide backs and weak withers. 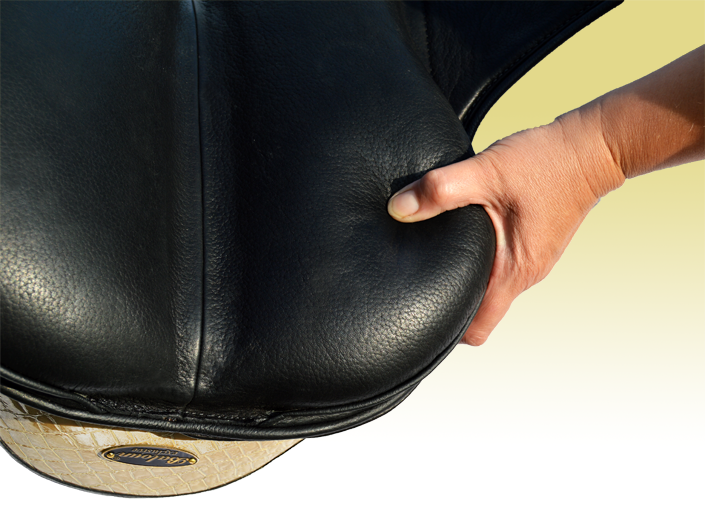 The special GASTON flap-filling ensures a good stability of the saddle on the horse’s back. Therapeutic – thanks to its flexibility, it is able to inhibit an impact and thanks to thermoactive gel which shock absorption it has a therapeutic influence not only on the horse’s back but also on the rider’s back. Comfort of the horse – because of the special flaps carved on panels for more tonned scapular muscles, the horse is not inhibited in his movement hence, is able to extend his gaits and is generally more relaxed. Comfort of the rider – because of the consistancy of the thermoactive gel in the knee rolls, the saddle is pleasant to the rider and encourages his/her firm and stable seat. 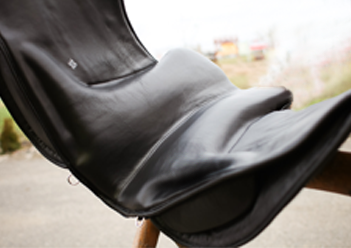 Durability of the shape – special latex filling – does not need to re-stuffing because it does not change shape even after many years of riding. Light weight – it weights only 3.5 kg. 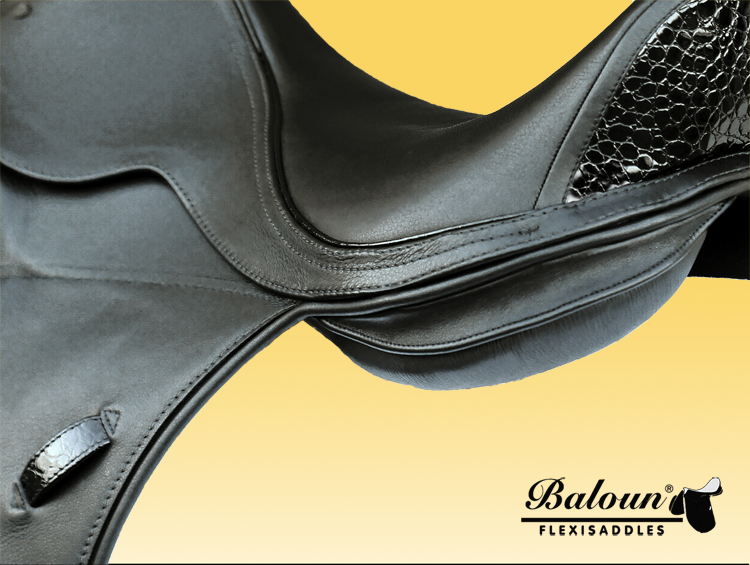 Simple maintenance – Due to a special leather is Baloun saddle very easy to keep clean and soft. 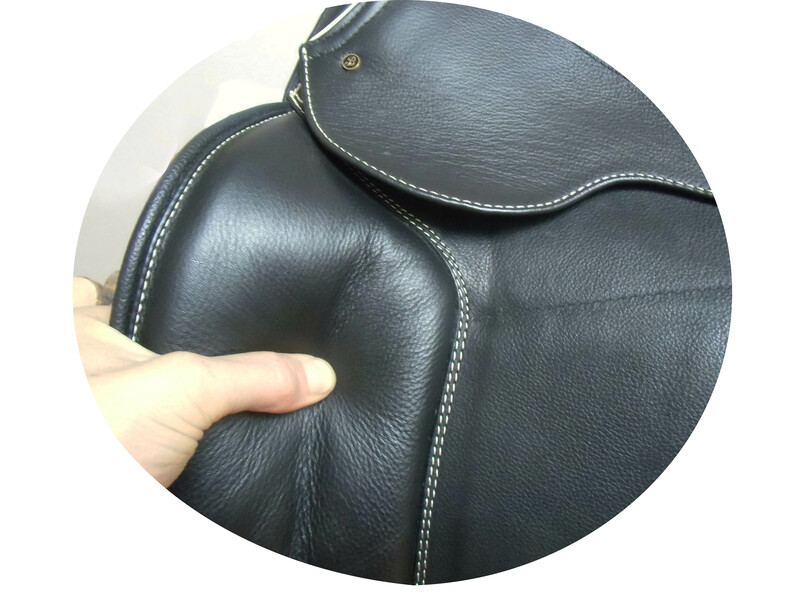 Even very new saddle is immediately comfortable and soft, leather never become hard and stiff and it’s material is also much easier to keep clean and smooth. 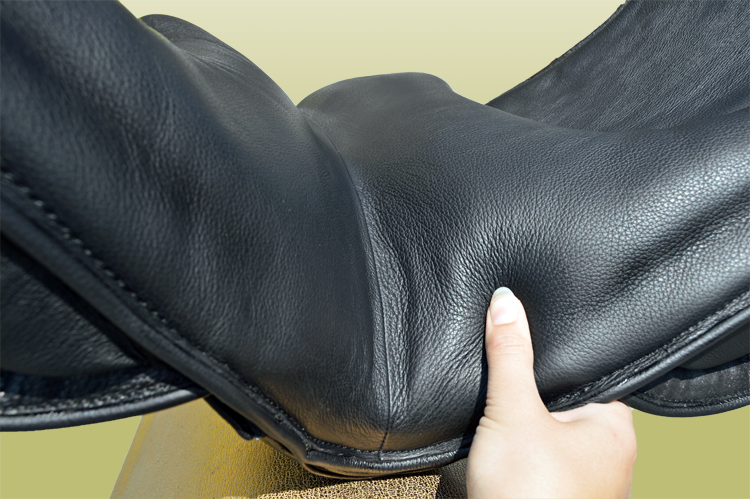 Treat the leather only with wax products with no oil. Quality manufacturing – an honest hand work and a material as well as a shape design from our own workshop. 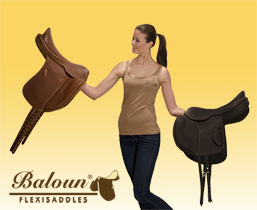 The flexisaddle is made of a quality, non-slippery hide, sewed with a “Bonded nylon” tread, which is known by its sturdiness and durability.A high quality latex foam ensures a long life and stable shape of the saddle. The proper saddle measurement is ensured by Robert Baloun. 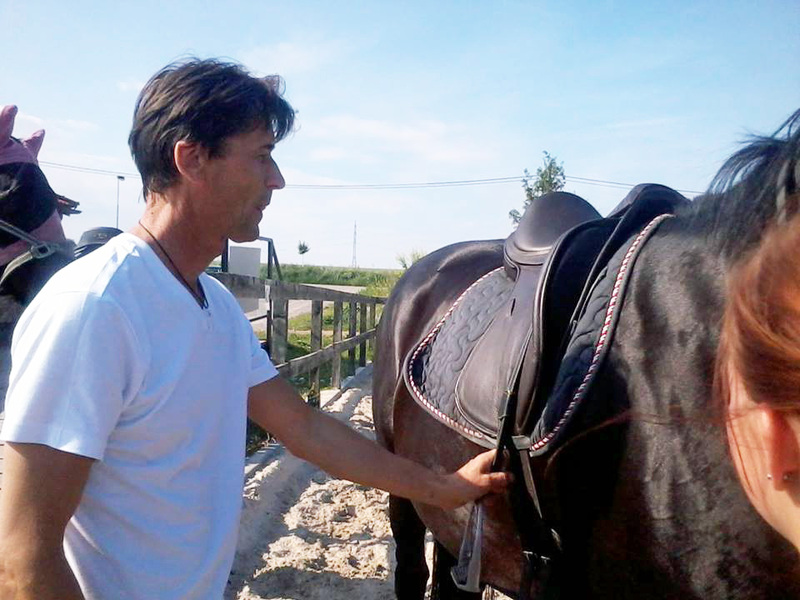 He measures horses personally in the Czech and Slovak Republic. His representatives in other countries are well trained and own a certificate to perform measurements for Baloun Flexisaddles. special wider and lower pads, lining evenover the withers. Made specifically for round horses with weak withers. The gullet becomes wider and lower at the back.